Copper has become a popular choice for statement accessories in transitional interiors, but what is the most effective way to display copper in our homes? Typically, copper accessories are used to compliment the exposed copper rafters and piping we often associate with an industrial property. Its bold, rose golden colour also works well in this setting as it adds a sense of warmth to your space. 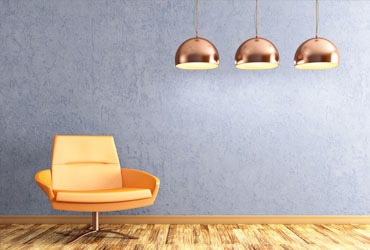 Here are our top three tips for introducing copper accessories into your home. Staple items are a great way to introduce a new theme throughout your home. Copper door handles and light switches are a great way to introduce copper into your living space, as they can be used from room to room to create a sense of unity throughout your home. Remember when using copper accessories as your feature within a room, they are a fantastic feature piece on their own so always work well to compliment a simple and relatively neutral space. If you have exposed copper piping in your home and want to make a statement of it, then strip the paint from your pipe work and polish the copper to achieve a high shine finish to complement your staple item. This technique can be applied to your radiator pipework and any other exposed pipes in the kitchen and bathroom. For the DIY shy, there is of course an easier way to incorporate copper into your home. There are many copper finished products on the market now, from copper framed mirrors and photo frames to curtain rails, light shades and blinds. If you currently have chrome or stainless steel taps in your kitchen and bathroom, you may also wish to consider swapping these for some copper ones to continue your copper theme! You can even complete the look with matching copper pans and kitchen utensils! Of course, you need not renovate your whole home in copper. You may prefer to explore this look in one room only. However, you choose to use copper in your home, you can be sure to achieve a thoroughly modern and quirky finish. Read our article Home Improvements add Value for further tips and great ideas on improving your home interior.